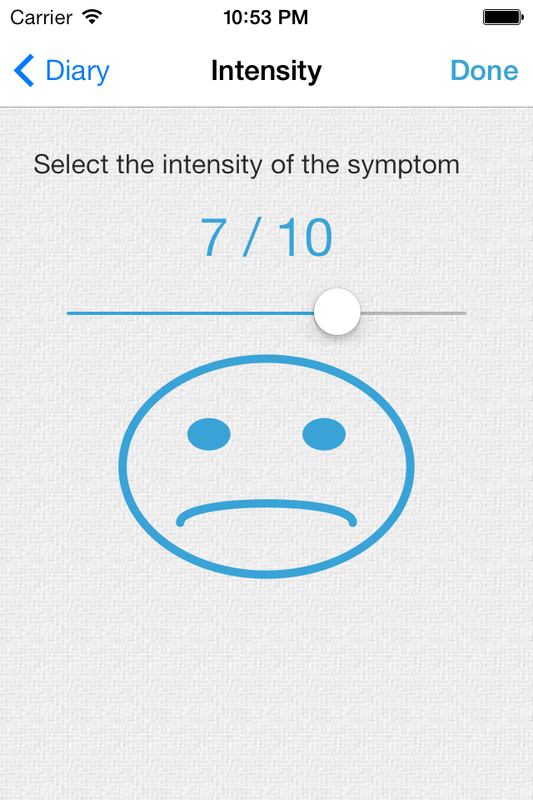 Symptom Diary version 2.1 has just been submitted to the AppStore. You might see it after the holiday period as the hard working folk at the AppStore have a well deserved break. The app has been updated to match the new Apple look for iOS version 7.0. 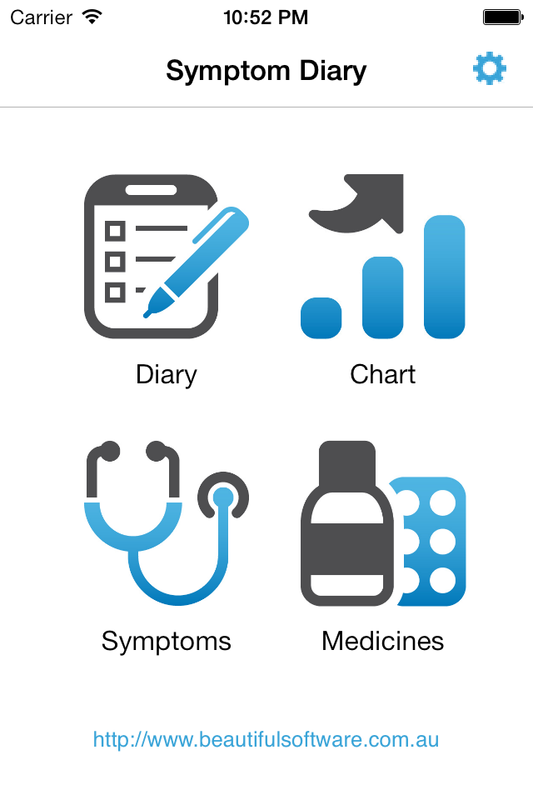 A few bugs have been fixed, including the slow loading of symptoms when you first run the Symptom Diary. Thank you to Susan and John for recommending intensity is recorded out of 10 instead of 5. I hope the smiley face helps! A few new body locations have been added. Susan requested the left and right side of the head. 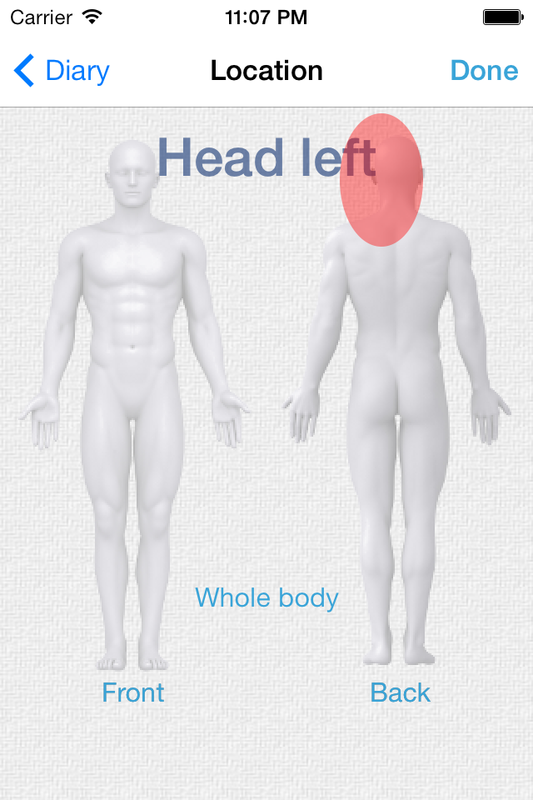 New symptom locations left and right side of head. Thank you everyone for your positive feedback. Any sort of encouragement really helps. Please keep letting me know about what you would like improved and any suggestions you have. Version 2.1 is now available! Thanks to the fast work of the kind people at the AppStore.